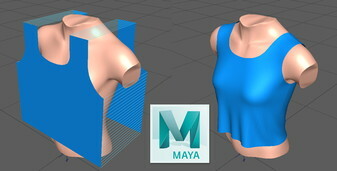 Syflex sewing force in Maya just in time for Black Friday. Model clothes from flat panels stitched together. Syflex for Cinema 4D R20 is now available! As usual, this is a free update for all existing users. We are starting 2018 with a big / small update to Syflex for LightWave. Small because it's just one new force. Big because it offers new possibilities to model clothes. 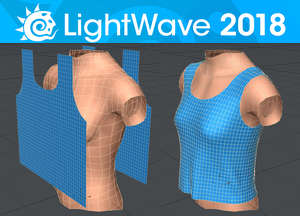 Syflex for LightWave now features sewing forces. In this picture there are 4 sewing forces: for the sides of the cloth and for the straps. The stitches can be animated like zippers. As usual, this update is free for existing users. 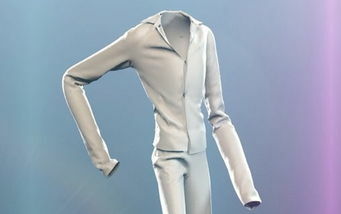 To compare Syflex with MD in Cinema 4D, Christian Rambow animated sewn clothes on a character. "Syflex is really fast and is much more robust in production." Syflex has already been used for many capes, from Superman to Batman and Zorro. It is now on the "Superteam" at ESPN. Credit: Bobbys Brane, using Syflex on 3ds Max. Syflex is now available for all 2018 versions: Maya 2018, 3dsMax 2018, LightWave 2018, Modo 11 and Cinema 4D R19. On 3ds Max, Syflex is fully multi-threaded and more stable. As usual, these updates are free for existing users. 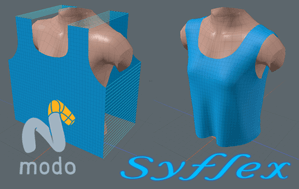 Syflex for MODO now features sewing forces. Assemble a cloth from flat panels stitched together. See it in action in MODO. A new licensing option links your copy of Syflex to your copy of MODO. Available for Modo 10 and Modo 11. Our cloth simulator was used in The Golden Compass, Spider Man 3, Harry Potter and the Order of the Phoenix, The Silver Surfer, Pirates of the Caribbean, King Kong, Superman, Batman Begins, Charlie and the Chocolate Factory, among other notable feature films. SyFlex was used in numerous other projects, animated TV shows, commercials, game cinematics and short films (check out our news page to get a quick overview). Our clients used it to simulate cloth, hair, flesh, skin, ropes, sails, ghosts and even water. Some of the projects are reviewed in detail in our gallery pages. Designed by Steven Stahlberg, Sylene wears only SyFlex. We have two demo clips showing off how nice and easy it is to animate a dress, a pair of pants and a blouse. House of Moves provided the motion capture and we rendered Sylene dances in two different outfits. 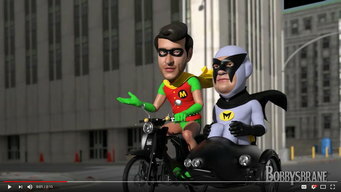 The simulation ran at 4 seconds per frame in both cases and none of the 1150 frames in this animation required any modification. 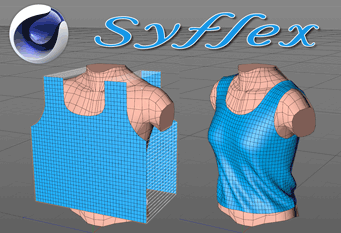 SyFlex is the cloth simulator behind many of the realistic cloth animations seen in current 3D productions, special effects sequences in feature films and in commercials. SyFlex features an incredibly fast and stable engine, and while the comprehensive set of tools provided with the plugin allows to create a wide range of effects, the package is extremely simple to operate, and turns the creation of digital cloth into an easy task.